Our vision at FARO is to be the world’s most trusted source for 3D measurement, imaging and realization technology and to enable mankind to easily and accurately connect the physical world to the virtual world. 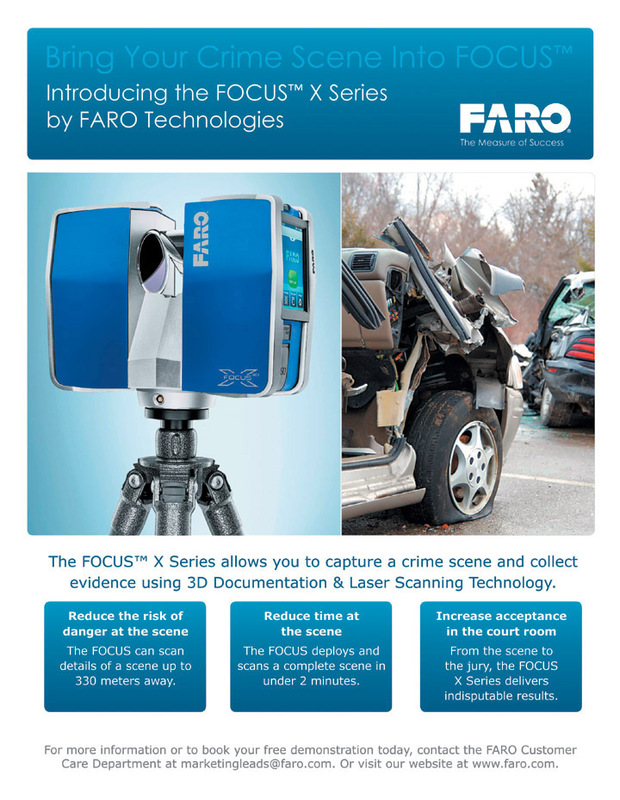 Check out the FARO Focus3D Laser Scanner – perfect technology for accurate crime scene analysis. Watch this YouTube interview with Heather, a CSI technician at Osceola County Sheriff’s Office in Florida talking about the FARO Focus 3D laser scanner. Worldwide, approximately 15,000 customers are operating more than 30,000 installations of FARO’s systems. The Company’s global headquarters is located in Lake Mary, Florida, its European head office in Stuttgart, Germany and its Asia/Pacific head office in Singapore. FARO has branches in Brazil, Mexico, Germany, United Kingdom, France, Spain, Italy, Poland, Netherlands, India, China, Singapore, Malaysia, Vietnam, Thailand and Japan. With three decades of innovation and helping our customers’ products and processes be the best in the world, FARO celebrated this milestone by having one of our valued customers, Paul Jr. Designs, build a custom FARO-themed chopper. Like most of the bikes built at Paul Jr. Designs, FARO’s custom chopper was built using the FaroArm technology. FARO had its start with a friendship between two self-proclaimed “techno-junkies” working on their Ph.D.s in biomedical engineering at McGill University in Montreal. Simon Raab and Greg Fraser founded Res-Tech on February 21, 1981. They changed the name to FARO two years later when they began developing technology and software to support advanced surgical and diagnostic methods. They introduced their first articulated-arm measurement technology in 1984, with additional models following in 1986 and 1988. In 1993 they repositioned the Company to focus on the industrial space and the rest, as they say, is history.